Here is a link to all the Race Photos from our Halloween 5k with a small selection below. What a great organizing Team, great job guys!! Such an awesome event today with a live band, free beer samples, food and great prizes. Awesome day!! I had so much fun helping out today at the YSJ 5k! I really enjoyed the day. This was my first 5k and a special day. Thank you for all the work and prep you and your team of volunteers did to make the day a success. In 2018 the Saint John Airport race is proud to partner with the Brighten Group for this very unique event The Saint John Regional Hospital’s Brighten Group, has been focused on Patient Comfort since 1919. Patient Comfort means enhancing the hospital experience for Patients, Families and Staff while in the hospital or, in other words, making your day a little brighter! Brought to you by the Saint John Airport, The Brighten Group and Fundy Sports and Tourism. Medals for first 300 participants. New for 2018 – Prizes for the best Halloween Themed dress Male & Female & please note – we will be operating the race out of the Fire Hall located at the end of the Airport Service Road. Registration & race start and finish & Kids Fun Run will all take place at this venue. WHAT IS A VIRTUAL RACE? A virtual race is a race that can be run (or walked) from any location you choose. You can run, jog, or walk on the road, on the trail, on the treadmill, at the gym or on the track. You get to run your own race, at your own pace, and time it yourself. We will mail your race bib and medal directly to you and you can participate on your own schedule and at your own pace. Here’s how it will work. Choose your location and distance to run/walk/jog/bike. Your 5K, your way! Set a date and run your race! Celebrate your victory! Wear your medal with pride! You’ve earned it! 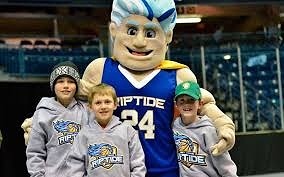 Meet Little Rip the Saint John Riptide mascot who will be coming out to the airport to cheer on the kids in the Little Monster Dash. The Halloween Hustle 5k will be capped to 300 runners total. $5.00 of every $36.00 entry fee will be donated to The Brighten Group to support cancer down there. Provisional start time for the 5k is 12.30pm (or as soon as the Air Canada Flight departs) on the afternoon of Saturday 27 October. Timings may change at the discretion of the Airport or the Race organizers. Refunds will not be offered due to a change in race time. All runners must be off the race course by 2.30pm. This Halloween themed Kids Fun Run will be over a non-timed distance of between 1.5 – 2k and will follow a brand new straight, out and back route from the Fire Hall. Please note that parents will not be able to run with their children during the Kids Fun Run. The kids must be self sufficient. All kids will receive a finishers medal. Kids Fun Run will start at 12.15pm. All entries are non-refundable and non-transferable sorry. All timings are subject to flights schedules. Entries must not be sold on without the prior consent of the Race Director. On behalf of the Saint John Airport 10k, 5k and Kids Fun Run we were thrilled to present Judie Domokos from The Brighten Group with this cheque for $3250.00. A massive thank you to everyone who supported the race with your donations or by racing or volunteering. Welcome to the 6th edition of the YSJ 10k & 5K race on the Runway at Saint John Airport on Saturday 14 May 2016. We are proud to be the original Maritime Airport race and we are excited to work with our colleagues at Saint John Airport in the build up to the race. For 2016 we are thrilled to partner up with the Undie Run to create awareness for and raise funds for Cancer Down There at the Saint John Regional Hospital . The 5k and 10k races will be run between 3.15pm and 4.45pm on the afternoon of Saturday 14 May. All timings are provisional at present. Let us see your UNDIES… on May 14, put them on the outside where we can all see them and help put cancer down there out in the open. This event is to help bring awareness to cancers down there , particularly colon cancer and cervical cancer. These very serious diseases need to be discussed and we all need to join the fight. Did you know running and walking on a regular basis reduces the risk for many cancers, especially colon cancer. Show you care about Cancer Down There! Brought to you by the Saint John Airport, The Brighten Group and Fundy Sports and Tourism. The price for both the 5k and 10k is $35.00 and includes a special keepsake of Boxer-style UNDIES by “Danieal Underwear with Pockets” for the first 100 Registrations, Medals for all participants and an excellent reception. As usual you will have a unique opportunity to run either a 1 lap or 2 lap race on the actual Runway and Taxiways of the airport. The course is flat, fast and traffic free and we have sold out in every year of our race so far so please enter early. $5.00 of every entry fee will be donated to the Cancer Down There – Saint John Regional Hospital and 100% of the proceeds from the Kids Fun Run. The Kids Fun Run will be over a non-timed distance of between 1.5 – 2k and will follow our 2014 route from the Atlantic Flight Center. Please note that parents will not be able to run with their children during the Kids Fun Run. The kids must be self sufficient. We will have volunteers and airport personnel on the runway to ensure that the kids are safe and complete the course. All kids will receive a finishers medal. Kids Race fee is $5.00 and all proceeds from the Kids Fun Run will be donated to Cancer Down There – Saint John Regional Hospital. 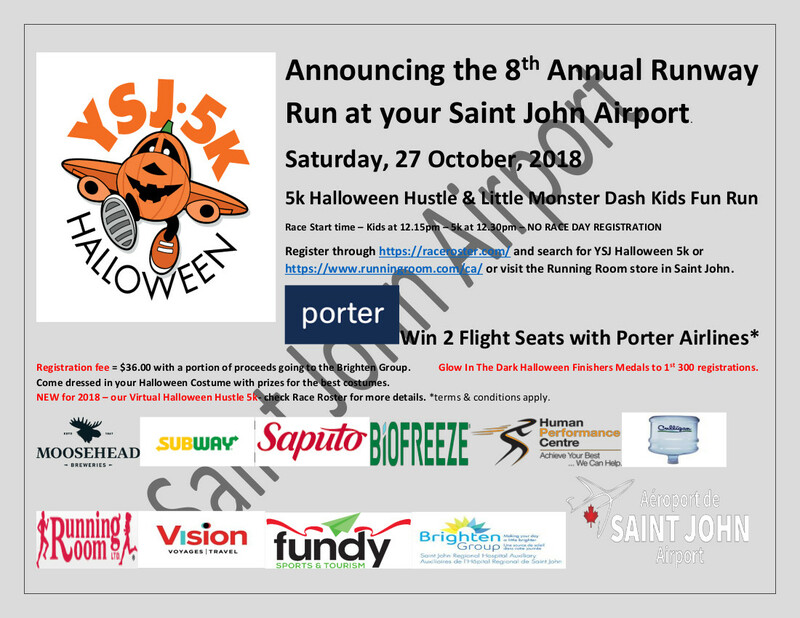 Saint John Airport is the venue for our Kids Fun Run / 10k and 5k. Registration fee is $35.00 per person for the 10k & 5k and all entries are non-refundable and non-transferable sorry but due to difficulties in previous years there will be no exceptions. All timings are subject to flights schedules. Entries must not be sold on without the prior consent of the Race Director. I will be sending our lots of info before the race but we need to remind everyone that this is a live airport and in the event of flight delays we will reduce the 10k to a 5k race. Subject to flight timings we may have to impose a time limit on the races. I will update everyone should this info be updated. No refunds will be issued for shortened races. Identification GOVERNMENT ISSUED ID MUST BE SHOWN ON RACE DAY FOR SECURITY PURPOSES. NO ID = NO RACE, SORRY. We are governed by Transport Canada on this one and they state that ID is required if you appear to be 18 or older. If in doubt bring ID as no ID = no race. You are running airside which is classed as a restricted area. Headphones of any description are not allowed on the Race Course for safety reasons at any time. If you are seen on the race course with Headphones you will be disqualified. We must be able to communicate with you at all times. “Thank you for a great race – it was amazing! “I just wanted to thank you and Helena for putting on such a great event last night. It was my first airport run, as I only took up running last year. It was a great time, and I love the finishers medal. Hopefully I’ll see you at the Hampton duathlon, and if not I’ll see you in St. Andrews”. opportunities. We will be adding them to all the race literature in the next few days. Hope this helps and look forward to seeing you at the race. Hi! What is the distance of the kids fun run? Would it be appropriate for a four-year old? Also, when are the awards? Do the 5k runners need to come back in the evening following the 10k and be present for the ticket draw? 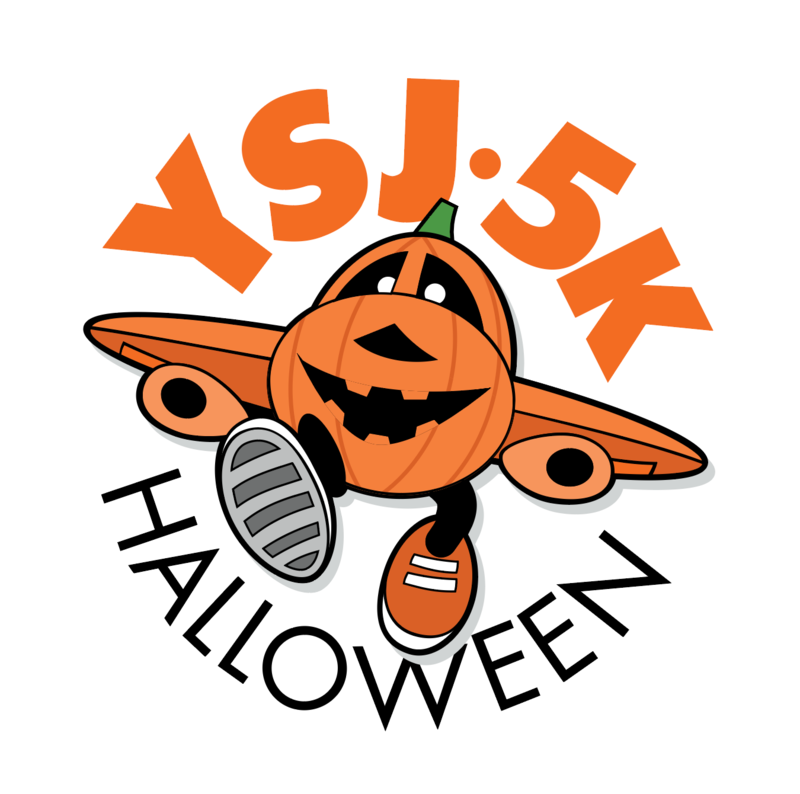 The Kids Fun Run is roughly 1.7k and we have no problems with a 4 year old taking part, but please be aware that parents cannot come out onto the runway with the kids so they need to be self-sufficient. We will have some teachers and lots of volunteers out with the kids so there will be plenty of support for them. We will do awards for the 5k once we start the 10k but the Air Canada tickets will be drawn at the end of the 10k and you must be in attendance to win. Also, all the races now start in the afternoon starting from 12.00pm so the draw will be at roughly 3.00pm ish but we will confirm final timings 2 weeks prior to race start. Hope this helps and thanks for your interest in our race. Are their finishers medals for all participants or only for the kids fun run? Thanks for your message, we have medals for the 5k and 10k and then separate medals for the Kids Fun Run, so everyone receives one. Thanks for posting your article and I am really pleased you enjoyed the day and were able to watch your husband finish. Congratulations on your pregnancy and good luck with your new family in the future. 2014 was another great year. I loved the airport run and I was wondering when pictures might be posted. Hi, We are working on the photos right now. I just received a CD with all the photos. I will post in the next few days. Thanks for taking part in our race. Thanks for coming out and supporting the race. Photos will be posted in a few days and I will notify everyone when they are ready. Glad you enjoyed the run.